Do we even realise the colossal, earth-stopping implications of Jesus' death and resurrection for us today? Do we live like access to God has been granted, like darkness has been defeated and death conquered? Do we know how much he has done? 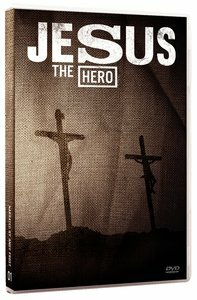 Do we know Jesus the Hero? This Easter, in the first of a seven-part DVD series, Andy Frost asks us to take a fresh look at Jesus. Combining stunning footage that recreates key scenes of Jesus' life with innovative and explosive teaching, the time is right for us to get to know Jesus better. We think we know Jesus - how he lived, how he taught, how he died and rose again - but does the way we live show others that we are following closely in his footsteps?